On our US trip, we not only went to New York but Chicago, San Fran, Los Angeles and Vegas. San Fran has amazing food also, but New York is still my favourite. We were in San Fran for a couple of days, the dinners weren’t memorable but we did have some amazing breakfast / brunches whilst we were there! Whilst in New York, we met a couple of friends funnily from San Fran and he told us about this burger place which is a MUST GO! 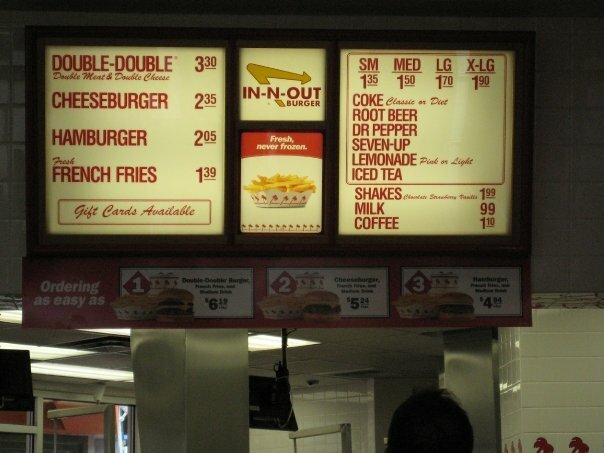 So when we got to San Fran we were on the hunt for a burger place call In-N-Out Burgers. The menu is simple! On the left you have a choice of 3 burgers, double-double (so double of EVERYTHING! ), cheeseburger, hamburger and French fries! On the right, you have the different types of drinks offered and the size. They even have Dr Pepper – now that’s one drink I haven’t had since uni!!!!! The choices are simple and easy! We both got cheeseburgers and fries. The cheeseburger was absolutely fantastic! 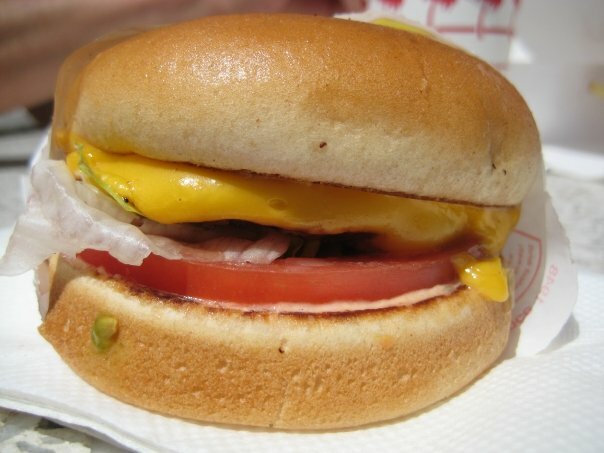 It was simple and classic and it would have to be one of the best cheeseburgers EVER! The bun was fresh and slightly toasted, the pattie was tender and juicy and the cheese was melted. 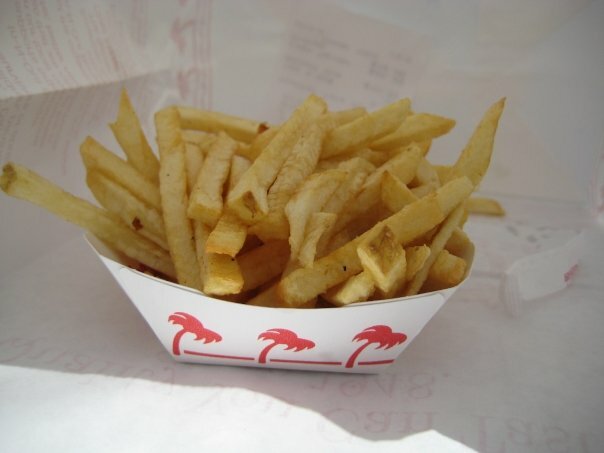 The fries were crunchy and soft on the side. Dipped in ketchup it was just perfect! I have to say, this was simply one of the cheapest and tastiest meal ever! 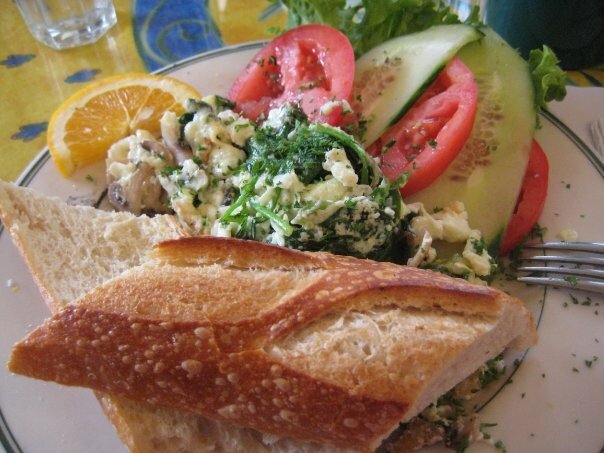 Mamma’s at Washington Square was highly recommended by many people for breakfast / brunch. It is quite a popular breakfast location in San Fran. We came here one early morning and the line was already quite long! The procedure is that, you go in and order your food first, pay, then you are seated to your table. We waited for a good 15 mins before we were allowed in to order our food. Your food is made fresh right in front of you and is brought over to the table once you are seated. 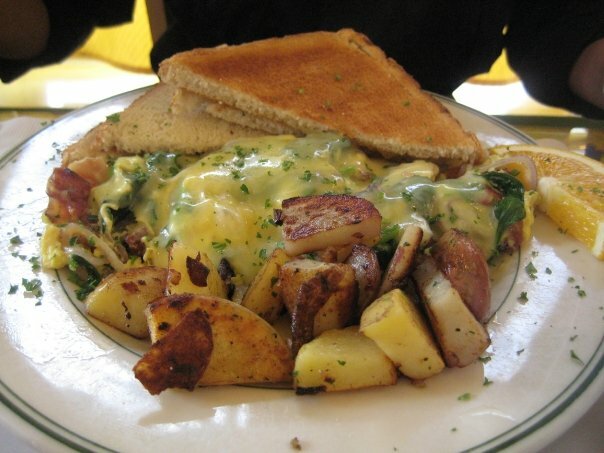 Hubby ordered the eggs benedict Florentine which consisted of 2 poached eggs with spinach and mushrooms covered with hollandaise sauce served on toasted bread with home fries (grilled red potatoes!). As much as I love hollandaise sauce, too much of it makes me sick! The hollandaise sauce was rich! Sickly rich for my liking – it was nice but only in small doses! Not sure how hubby managed to finish all of this! Was it worth the wait? Hell yeah! Come early if you don’t want to wait for long. When we left the queue was even longer! It was definitely a great way to start the morning of sightseeing in San Fran! 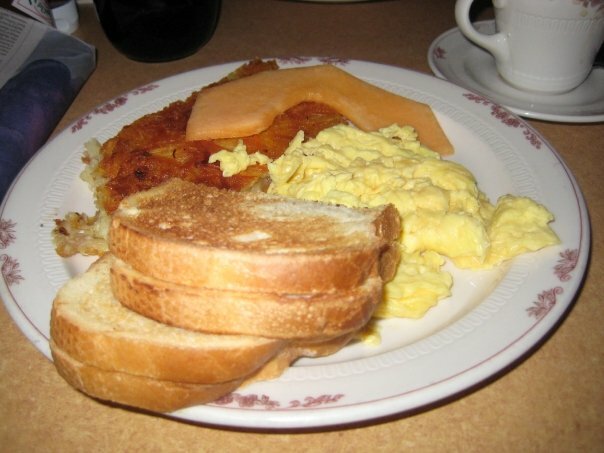 Another breakfast place we enjoyed was Sears Fine Food (‘SFS’). It’s been around since 1938 and it shows! We walked past this restaurant the previous day and saw a mammoth line! So when we decided to go the next day we made sure we would come a little bit earlier. There was still a queue but it wasn’t too long, and since there were only 2 of us, we were seated quite quickly! SFS is famous for their 18 swedish pancakes and that is what hubby ordered. 18 Swedish pancakes with warm maple syrup and country fresh whipped cream. There were 18 tiny pancakes, and even though they are tiny, I don’t think I could even finish 18 of them! To my surprise, Hubby finished every single one of them! I was disgusted but these pancakes were tasty. They were light and fluffy! However, I could probably just eat 3 or 4 of them – not 18 in one sitting! I ordered the scrambled eggs with toast and crispy shredded potatoes. The eggs were fluffy but not as creamy as I have hoped. It was still good and the crispy shredded potatoes were scrumptious! 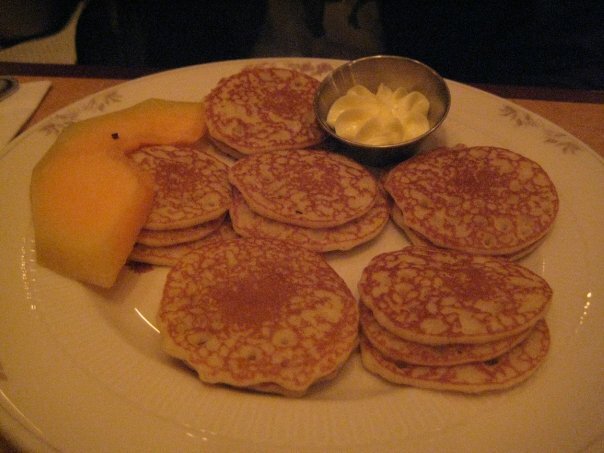 This is also a must go too place in San Fran – eating the 18 Swedish pancakes is quite a novelty! Watching hubby eating the pancakes one by one – I think I made myself sick watching him eat! He seems to have enjoyed it though – which is important! From memory, dinner wasn’t that memorable. However, the above places is highly recommended!